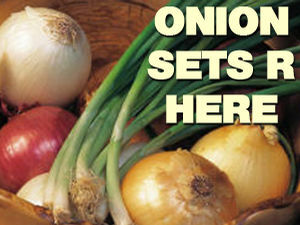 You can begin planting onion sets in this area in mid-March. Milmont offers a wide variety of spring and summer vegetables in both seeds and plants. The categories below list all the vegetables we currently carry. To check stock, please call (540) 943-8408. And, be sure to check out our helpful articles about gardening, some of which are included below. Some vegetables prefer cooler weather and can be planted in early spring (such as peas, broccoli, cabbage, kale, spinach, lettuce, etc.). Others are warm weather vegetables and won't tolerate freezing temperatures (tomatoes, peppers, cucumbers, melons, zucchini, etc.). The last frost date for this area is generally around May 10th. See Shenandoah Valley Planting Timetable for the best dates for planting in the Valley.